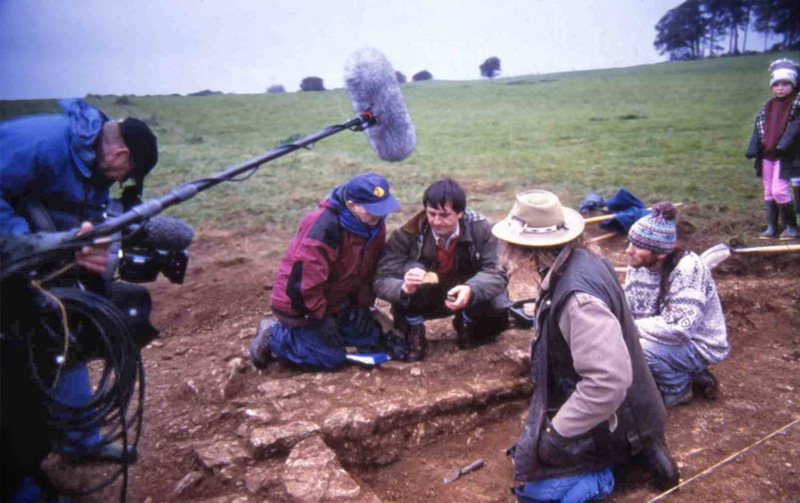 Cotswold Archaeology played a crucial part in the first ever Time Team Live television programme which took place over the three days of the 1997 August Bank Holiday. The programme generated extraordinary levels of public interest and high viewing figures as we investigated a previously unknown Roman villa near Northleach in the Cotswolds. Chief Executive Neil Holbrook directed the excavation with Mick Aston as CA staff dug evaluation trenches to test parchmarks visible in a pasture field. These marks had been spotted from a helicopter for the first time the previous year by local amateur archaeologist Roger Box. They showed with remarkable clarity the unmistakable outline of a large Roman villa composed of ranges of rooms set around three courtyards – in some places even the doorways were visible. It was a frenetic weekend, and with a certain inevitability the fine weather of the preceding weeks broke on the Saturday morning as torrential downpours soaked archaeologists and film crew alike. 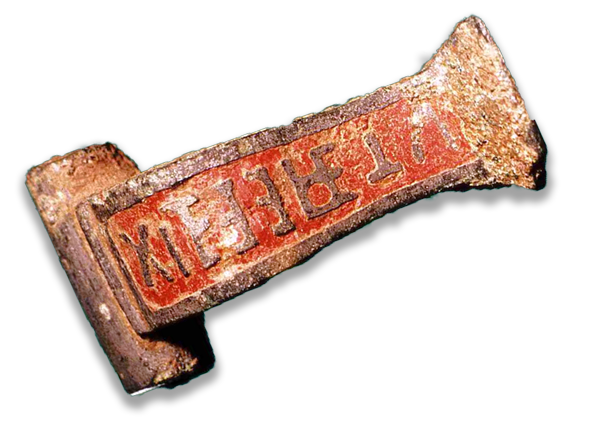 The process of investigating an archaeological site live on national television was new to everyone – as soon as an interesting find was made work had to cease until the film crew arrived! While the project undoubtedly created huge public interest in archaeology, it also produced important information about the villa; the geophysical survey was particularly stunning. Neil Holbrook has published an account of the villa in the prestigious national journal Britannia, and you can download this report for free by clicking here. Given the importance of the discoveries it was no surprise when the site was subsequently scheduled as an ancient monument.